Find out more about the GEKA® plus hose reel “P40” by navigating the hotspot. When in use, the GEKA® plus hose reel P40 can be either tationary and mobile – however you need it to be. Mount the GEKA® P40 to the wall and simply take it off when necessary and bring it wherever you need. 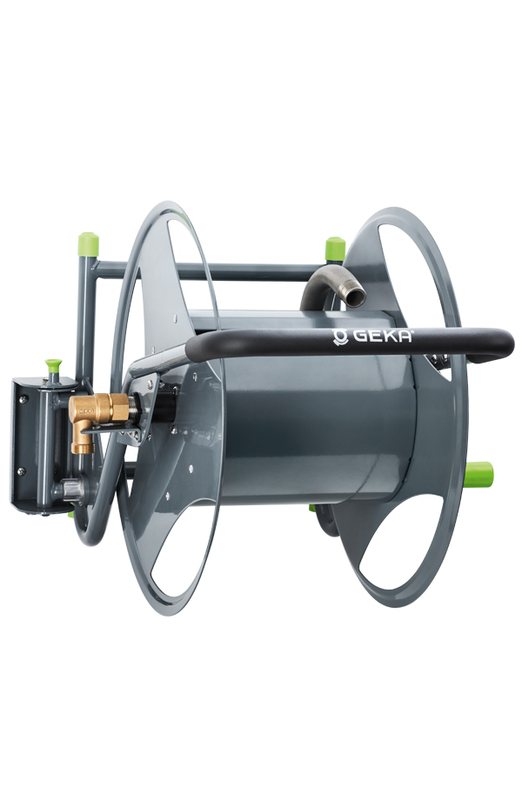 The GEKA® plus hose reel P40 can be mounted on the left or the right. It is safely lockable in four positions so that you can reach the optimum operating angle.